Looking back at the turn of the millennium is a strange thing to do. The digital revolution, poised to usher in a futuristic new era of civilization, was met with ambivalence by many young people. Raised in the post-idealistic latter half of the 20th century, Gen-Xers entered the 1990s with a profound disaffection for the institutions that dominated their lives. This outlook played a big part in influencing the pop cultural landscape; instead of the smug neoliberalism and hawkish nationalism of the 80s, mainstream media of the 90s pivoted to reflect the ennui of modern life. Of course, it seems almost quaint now to think about a time before the War on Terror and the financial crisis. The 24-hour news cycle did not yet exist to terrorize geriatrics and exacerbate everyone’s neuroses. With widespread globalization and technological expansion still just over the horizon, the 90s marked the last vestiges of a life unplugged. And yet at the time, some were already feeling a growing sense of discomfort. 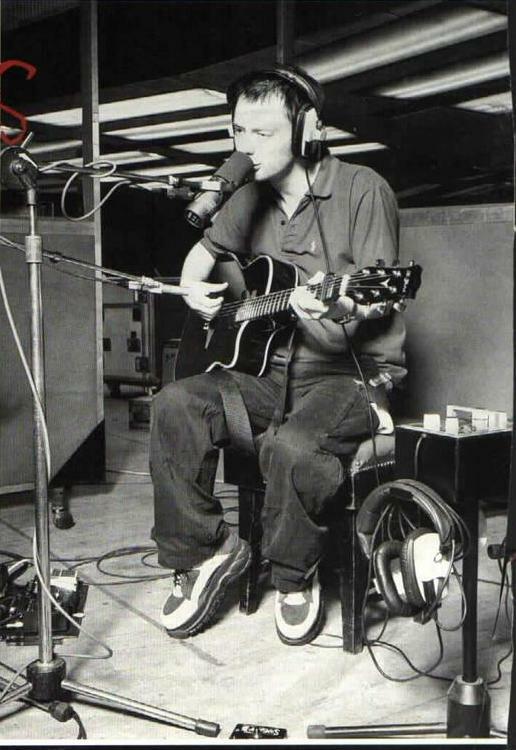 Although their previous album had its fair share of memorable hooks, Radiohead was never really a Britpop band. They didn’t much care about making commercially successful or easily digestible music in the same vein as Oasis or Blur. While their ambition is admirable, there’s something to be said for taking complex, heavy ideas and making accessible art. Maybe they could’ve learned something from their pop-oriented counterparts. Maybe that’s where I lose interest. Throughout their discography, but especially here, Radiohead feels like a group of smart musicians playing in a postmodern jam band. There’s extended string techniques and harsh synths and crunchy layered guitars, but the end product ultimately feels unengaging. Famously innovative bands like the Beatles and the Beach Boys succeeded because they could masterfully balance harmonic innovation with accessibility. You can recognize a Paul McCartney melody or believe the pain in Brian Wilson’s voice after just a note or two. They left their legacy on popular music without feeling the need to be overly elusive or self-serious. Blur also excels at this; Damon Albarn’s messages come across clear and strong, but never at the cost of sacrificing an engaging musical moment. The music is elevated by its wit and carried by its craft, rather than just its scope. 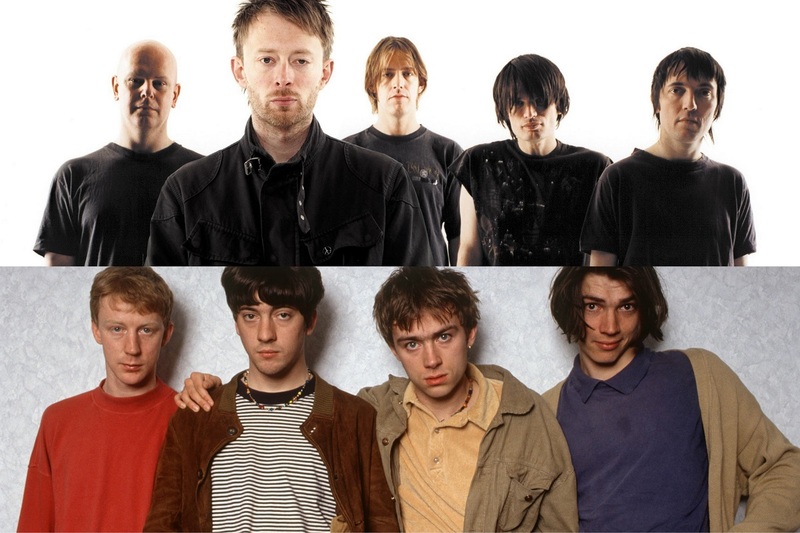 Arguably, OK Computer and Parklife are the two definitive British albums of the decade. At the very least, they capture the sociopolitical climate of the 90s with a clarity that stands the test of time. Kashana Cauley once postured the Strokes’ Is This It and Arcade Fire’s The Suburbs as urban malaise versus suburban ennui. This distinction applies here too, with Radiohead’s metropolitan claustrophobia against Blur’s village green pseudo-idyllia. Both artists take their respective brand of jaded cynicism and use it to create a statement album so inextricably tied to its time. Though the latternever found the same acclaim outside of the UK (and to be fair, neither did Blur), the formeris a stalwart contender on every major publication’s “Best Albums” list. It certainly carved out its legacy in rock music; critics seemingly cannot overstate the influence of OK Computer (and its follow up Kid A) on our public consciousness as the shadow of the 21st century crept up. While I admire the sentiment, I can’t help but think that even if Radiohead dialed down the melodrama, we still would have figured out how to disappear completely. In Our Feelings: Coachella, Overrated or Underrated?